My first - but definitely not my last !! The Inferno Club, a scandalous gathering of wealthy libertines and highborn rakehells devoted to their wicked pleasures. Or so they are known to London society. Little does the world suspect the true purpose of the Inferno Club - or the unseen threat looming over England, which these select, powerful lords are secretly sworn to fight. Someone quite unlike Miss Daphne Starling. True, she is temptingly lovely, but a whiff of scandal suggests the blond beauty may be a jilt who enjoys toying with her suitors' emotions. Still, Max cannot resist her allure - or the challenge of proving London's gossips wrong. Pursuing her with a spy's cool, calm calculation, he is soon swept up in the chase. 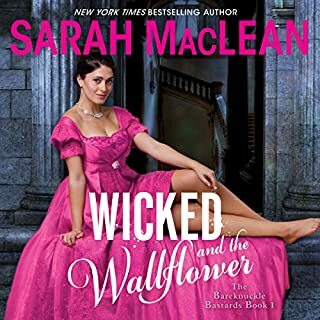 He would do anything to win her hand...and prove that even a very wicked marquess can become the ideal husband. What made the experience of listening to My Wicked Marquess the most enjoyable? The contrast of personalities between Daphne and Max. Daphine's great aunt the dowager dragon duchess. Every one is afraid of Daphine's great aunt and she sets the trends. She has the control that Daphine yearns for. What aspect of Annette Chown’s performance would you have changed? Her voice was sort of weak and timid. A more commanding distinctive voice would of been nice. It was a fairly good book and enjoyable but not so much as to want to listen to it in one sitting. Daphine is somewhat spoiled in some ways, is very generous and loving, wears her heart on her sleeve and is very trusting and sometimes a bit silly. Max hides his emotions and is very pragmatic. He is closed and secretive as he has had to be in order to survive. Max and Daphine balance each other, however besides being very open Daphine is curious, demands to be in control and not controlled by others and will not accept Max's secrets. As Max is a spy, Daphine snoops and learns things things best left unopened. The book ends on a bit of a cliffhanger with an introduction to the next book. I am hooked and am eagerly awaiting the next book. Thanks be to have this in audio! Daphne is something of a twit, but she is only 20 and a product of the time in which she lives. She falls for the man who wants her but doesn't know how to deal with himself, let alone her. I don't know any spies, but I do know about military who return from war and law enforcement men who can't share the things they've seen and done. Just like Max. He has been involved in Good vs Evil for a very long time, and has never known a family life. So, there's the background, and the publisher's summary gives hints to the action. There is also a secondary story line which is a set-up for the rest of this fascinating series. Jump in and enjoy the ride! Annette is a fine audio performer and is able to project the emotions of the characters. But. She is in a higher voice range which I cannot like and it is especially annoying when portraying men. 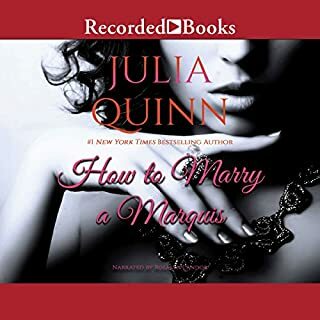 Disappointed to realise (at end of this audible) this is part of a series which is not yet available on audible or amazon Australia! I have had this occur on other series and it starts to become quite annoying. 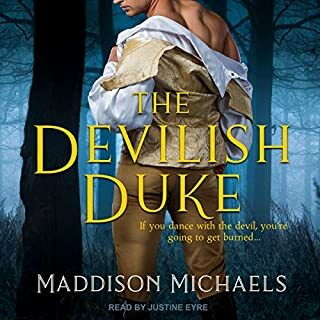 As for this audible, I liked Max the main male lead, the female lead, Daphne drove me crazy with her continual annoying thought process regarding male control and dishonesty etc. etc. etc.. but hung in there as the story had promise and I hoped the ending would bring it all together gloriously only to get a quick wind up of My Wicked Marquees and the confusing introduction to book 2, which is not available on audible or amazon Australia yet... Searched for series and alas there is currently 7 books in the series written, yet only 1 available on audible. Not happy and will not bother following through with this series. 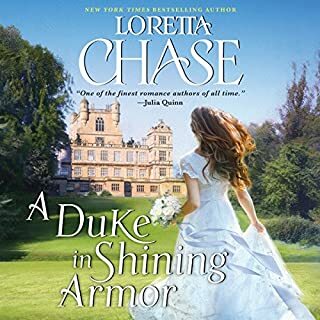 I suggest Australian audible listeners browse net prior to downloading any audible to check if part of a series or check author through audible to see what is available to download in Australia. I get very annoyed when I download an audible only to find the next book, (in a series) is not available. If I wanted to read a hard copy, I wouldn't be an audible listener. Will request return on this audible, very disappointed all round. The narrator is too sugary sweet. Started out with strong, almost too hard edge. Towards the end it was so sugary sweet I had to skip forward and sighed with relief when it ended. 12 hrs and 54 mins with Annette Chown never feels like i am lost. her english accent fits this book like a hand to a glove. 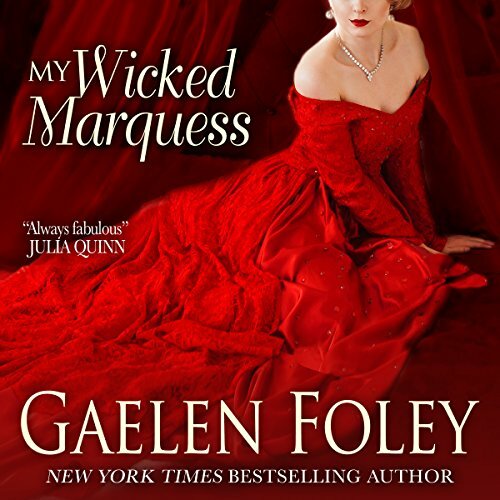 I am amazed about how few books there is with her as a narrator. She is just as fantastic as the book is. And that is saying something about the quality in this book. Sound does not convert to Bluetooth device. It garbles and skips words. Volume without Bluetooth is low. The right narrator makes all the difference! This book, while a little on the silly side because of the heroine acting like a stupid twit, is still worth a read. Didn’t like the book. The story was fine, but the female lead was annoying, head strong and whiny. Instead I relating to her I found myself wishing she would mind her own business. wonderful ztory telling! read out of order but it did noy matter! I loved it! The story was slow and the narration was immature. I couldn't finish it. Not for me.